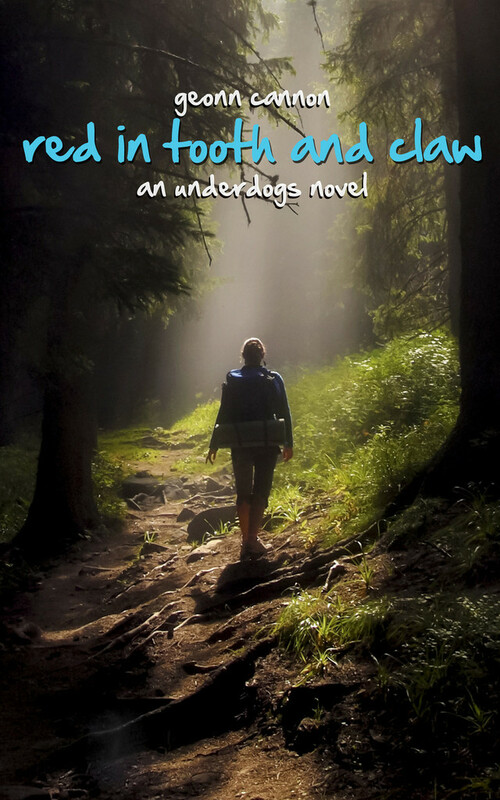 In honor of the latest Underdogs release – Kennel Club, now available in ebook and paperback! – I wanted to celebrate. And what better way than with a title reveal? So I’m proud to unveil that the title of the next Underdogs book will be ::drumroll:: Raised by Wolves! For two more weeks, you can head over to Storybundle and get a great deal on five novels – including my novel, The Virtuous Feats of the Indomitable Miss Trafalgar and the Erudite Lady Boone, which Kirkus Reviews named one of their best indie books of 2015. If you pay a little bit more, you also get access to six other novels. The bonus bundle includes another novel I wrote called Stag & Hound. It’s a complete standalone, but I thought I would say a few words about the greater universe in which it takes place. Stag & Hound takes place in a world in which werewolves exist. Their species is canidae, and transforming is an ability they’re born with. They can change whenever they wish, meaning there’s no reason to wait for a full moon if they want to bring out the wolf, but there is a reason for the myth: the wolf is a part of who they are, so going more than a month without changing is extremely difficult. If they go more than three or four weeks, the transformation can happen abruptly. Canidae exist in secret after being persecuted and hunted for thousands of years by a group of humans called Hunters. Being bitten does transfer the ability to change but, if it happens when the victim is an adult, their body won’t be able to handle the transformation. The first change is a death sentence if it doesn’t happen before puberty. I first started writing about canidae for a Halloween story invitational at Academy of Bards (a great place to find lesbian-centric fiction that grew out of the Xena fandom). I was stumped for an idea and decided “werewolves” and “private investigator” was a fun idea. So I created Ariadne Willow, a modern-day PI working in Seattle with her then-assistant, Dale Frye. I ended up liking the character enough that I wrote three stories for them. There wasn’t much of a response, so I sort of put them aside for a while. I came back when I was inspired for a fourth story, and people blew up. Commenting on the new story, telling me they’d gone back to read the others, asking when there would be more… It didn’t take long to realize there was a lot of potential in these characters and their world, so I decided it was time to turn it into a novel. The Underdogs series is now five books strong, with a sixth on the way. When I was planning the second installment (Beware of Wolf), I came up with the idea of a historical event that Ariadne knew as a fairy tale that involved a female soldier in the Napoleonic Wars falling in love with a canidae. I didn’t want to wedge it into the story as a flashback (the novel already had two plotlines, and adding a third was just Too Much) so I wrote it out as a supplementary piece called Wolf at the Door. It allowed me to explore the history of canidae in a world just like ours without forcing the narrative on Ari and Dale. So once those floodgates were open, I knew I wanted to write more of what I called “classical canidae.” So far the majority of them are follow-ups to Wolf at the Door, but I’ve also written stories about a canidae rumrunner and wolves in medieval times (you can find them here for free). And now, the second full-length novel featuring classical canidae takes them behind enemy lines in Nazi-occupied France. I hope you enjoy it! There’s a whole world of stories waiting to be told in the future for Ari and Dale, but there is also a rich history just waiting to be discovered. A few weeks ago, CBS aired the final episode of Person of Interest. It was an early but not unexpected ending, which gave the show time to wrap up their storylines. The result was a series that lasted five seasons and just over 100 episodes. It was a show that told a story with a distinct beginning, middle, and ending, a show that had elements of its endgame hidden in some of the earliest episodes. The characters were given appropriate (if tragic, in some cases) final chapters. And when the last scene faded to black, we were left with a show that had told its story and was closing the book. There are people passing around petitions for a sixth season on Netflix. I’m not signing any of them, even though I count Person of Interest as maybe my favorite show of all time. I don’t want more. I don’t want forced plotlines and watered down versions of the greatness that came before. Too often, shows overstay their welcome just so they can say it’s still on. I loved The Good Wife, but my love for it waned hard and fast to the point where I haven’t even started the final season. Stargate SG-1 reigns supreme as my favorite show, but even I admit the last few seasons weren’t its best (although I’ll be forever grateful we got to know Vala). I’m not happy that there will never be any new Person of Interest, but I’m very glad that we got what we did and that it never went downhill in terms of quality. That’s the importance of ending. I’ve written a few series in my time, and the first two had very distinct endings. The Claire Lance series was created with a fifth book in mind because I knew it wouldn’t make any sense to have her running endlessly. There had to be an end to her road. As much as I loved her and I loved writing for her, I had to give her peace eventually. The same thing happened with Riley Parra. I didn’t know exactly how long she would go on (it ended up being five books as well). I could have written her until the end of time and been very happy to do so. But I knew that eventually she deserved to rest. She deserved a happy ending. Her supporting cast deserved their endings as well. I’m currently writing two series that I’ve planned to be ongoing: Underdogs and Trafalgar & Boone. The former is on book 5, with no ending in sight. I’ve crafted that series to have built-in finales every few books. The third book ended one story, and book 5 begins a new arc, with standalones sprinkled throughout. Ariadne and Dale will continue to grow and evolve. The stories will begin and end so new readers can slip in whenever and wherever they want. But eventually I will either end or slow down the series to give Ari and Dale a final ending so they can have some peace, too. Trafalgar & Boone is a bit trickier. I’m not sure how many books will be in that series when all is said and done, but I’m definitely planning for more than five. Seven seems like a nice number, but we’ll see what transpires with the plot. These days, everyone seems obsessed with continuations. The story must go on, the show must be renewed, the movie must have sequels and spawn a franchise. All good things come to an end, all stories need to eventually stop. The book needs to be closed so a new one can be opened. As much as I loved writing Riley and Claire (who may return in a series epilogue novel… stay tuned) and Ari and Trafalgar & Boone, I know eventually I’ll write them all for the last time. And while that’s sad, I’m excited about the possibilities. It changes how I’ll write them because I know there won’t be a chance to get it right later. And then there’s the old adage: “Don’t cry because it’s over, smile because it happened.” And once the story is done, you have the full story in front of you, and you can go back to the beginning to relive the story you loved knowing how it will all come together in the end. If the series keeps going in perpetuity, soon you have thirteen novels full of references to past stories that you half remember and would be incomprehensible to new readers. At that point it’s virtually impossible to give the series a graceful ending, so instead it just fades away. No one wants a story they once loved to fade into a pale shadow of its former self. “The End” only means the story has stopped being told. It will always be there, waiting for you when you’re ready to revisit it. Wilder Animals, the fifth Underdogs novel, is out now! Over the course of the GCLS Award-winning Underdogs series, Ariadne Willow has taken down a group of hunters eager to reignite a war between humans and wolves, fought drug smugglers, and fallen deeply in love with her girlfriend and assistant, Dale Frye. 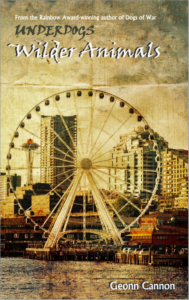 In the fifth book, WILDER ANIMALS, Ariadne and Dale are back in Seattle and back to work. A strange call from Clark Wilcox, a rival private investigator, in the middle of the night piques Ari’s interest even before the police arrive the following morning to tell her Wilcox killed himself immediately after hanging up. Ari and Dale set out to discover why Wilcox would kill himself puts her on the trail of an enemy who is willing to kill to keep his secrets. Wilder Animals comes out July 1! Order now, or catch up on the series here! Always Bet on the Underdogs! You should always bet on the underdogs. Winner of the Rainbow Award and Golden Crown Literary Society Award (for Dogs of War), Underdogs is a new kind of werewolf series. No alphas, no “female wolf must choose which manly man wolf she needs to mate with,” no bull. Just a story about a female werewolf and her committed relationship with another woman serving as a backdrop to fun, dangerous, action-paced mysteries. Start reading the novels here! Or if you’d prefer some free stories that set up the universe without the commitment of paying for the book, you can start here! 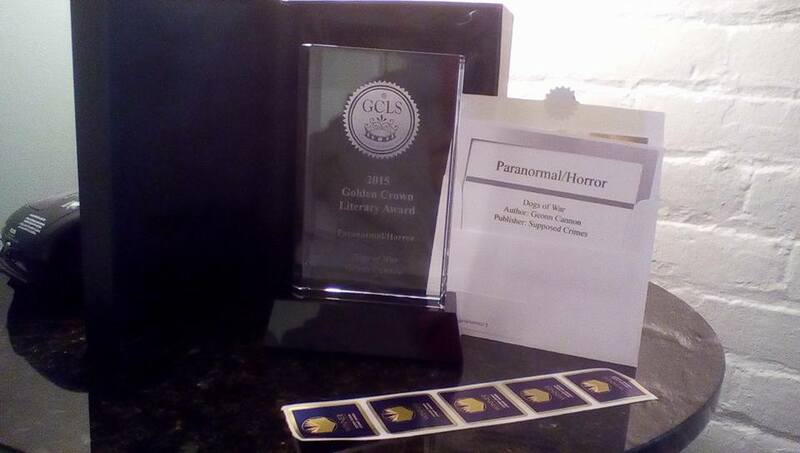 Dogs of War – Winner of the GCLS Paranormal/Horror Award! In 2010, I won my first Goldie Award from the GCLS for my novel “Gemini.” That same year for the Academy of Bards Halloween Invitational, I created a series called “Underdogs.” I didn’t know where I was going with it. I half-expected it to be a one-shot story, just a fun and quick mystery about a werewolf private investigator. I ended up liking the characters so much that I wrote another story with them, and then another, and then… I stopped. The stories weren’t getting much in the way of feedback, so I figured people didn’t want to read them. So I moved on to other things. About six months later, I dipped my toe back into the waters. The response was instantly enthusiastic. Not only did it spawn a whole series of short stories, but I quickly decided to branch it off into novels. In 2012, “Underdogs: The Novel” was released. It was a standalone story to introduce the world and the characters to people who might not have read the short stories, but also the start of a trilogy. I wanted to do what Pirates of the Caribbean did: the first movie could exist entirely by itself, but the second and third would tie all three together into a larger narrative. In the second book, Ari discovers more about her mother and one of the biggest threats facing the <i>canidae</i>. It all came to a head in the “finale,” which would complete the story and give everyone a sense of closure. That way, even if the series continued, I didn’t have to worry about building and building and building until we finally reach a climax in Book 12, which is so convoluted that only the hardcorest of fans will even bother reading it. A nice, tight three-book trilogy that left all the pieces in place for continued adventures. Last night, I won my second Goldie for “Dogs of War.” Being the conclusion of the trilogy, I can’t help but feel the award is for the series as a whole. I’m so honored to get this award for a series that almost didn’t begin, and a pair of characters I’ve grown to love, and for a series I hope continues for many books to come (Book 4, “Red in Tooth and Claw” is already available!). In the past few weeks, I’ve received one of the highest honors Kirkus reviews can give to a novel (a starred review on Trafalgar & Boone) and now one of the most prestigious awards in the LGBT world has a second place on my desk. I don’t know what the future holds, but right now I am a very grateful and honored man. Thank you to everyone who has read, reviewed, or suggested one of my books to a friend. It means so much to me that you’ve enjoyed my novels. I hope you enjoy what I release in the future! 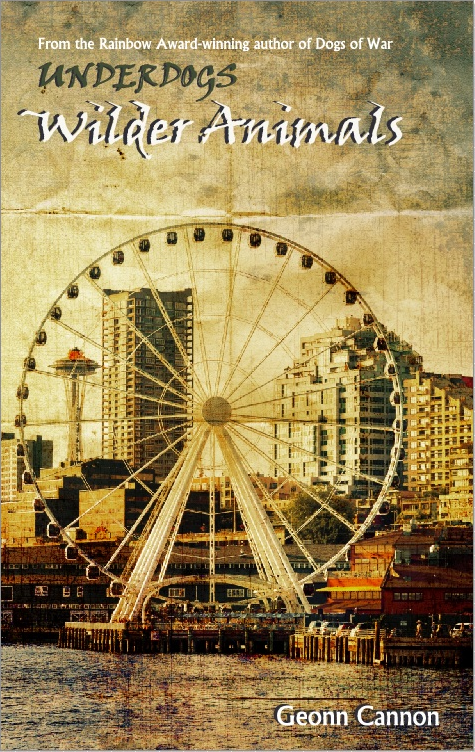 Underdogs: Red in Tooth and Claw Cover Reveal! Their plans are thrown for a loop when Ari goes for a run and stumbles over the body of a dead girl hidden deep in the woods near the cabin. When she returns with the police the body has vanished and the scene hastily cleaned up. The police don’t see any evidence to confirm Ari’s claims but her enhanced canidae senses confirm the body was there and has vanished. With the police refuse to investigate based only on her word, Ari and Dale begin digging for the truth and quickly learn that the and there are some secrets people will go to any lengths to keep buried. Underdogs: Dogs of War – Rainbow Award Winner! Ari and Dale are officially award winners! Earlier today, some author went on a rampage because apparently people were asking when her books were available in a certain country, what order they should be read in, etc. Now I can understand being a little irritated with a barrage of questions that should be answered by a website. But just direct them to your website and move on. Don’t bite the hand that feeds you by raging at them on your Facebook. With Twitter, Facebook, etc, authors are more accessible than ever. That can be a double-edged sword, but it’s also a way to interact with your fans while possibly gaining new ones. I just don’t understand the vitriol directed at people who are just trying to pay you money and enjoy your work in the order it was intended to be read. So in that vein, I will go ahead and leave this here. If anyone has further questions, ask me. It should be covered by my website or the Supposed Crimes site, but if it isn’t, I won’t grumble and grouse about someone seeking information on how to support my career. 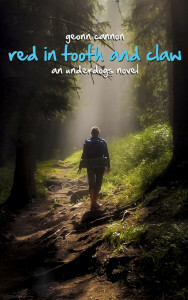 * Underdogs Volume 1, starting with “Strays”, is where you go first. These stories are free, they all take place before the first novel, and they won’t spoil anything for you. * Underdogs, the novel. This can be your starting point if you don’t want to start with the shorts. It’s sort of like seeing a movie based on a television show without seeing any episodes beforehand. It’s a standalone story, but if you read the short stories you get a broader idea of who Ari and Dale are before their Big Adventure starts. * Underdogs Volume 2 picks up where the novel left off and continues the story of Ari and Dale in the months between the first and second novels. Spoils the first novel, obviously, with hints and foreshadowing about things coming up in the second installment. * Dogs of War, the third novel. This can be shuffled around, of course. If you want to read all the novels and then go back to read the short stories as flashbacks, that’s fine. If you want to read all the short stories before shelling out for the novels, I understand! That’s what they’re there for! There’s a post-Dogs of War story coming out in a short story anthology later this month, and I’ll be linking to that all over the place. As for my other novels, they’re almost all standalone unless they take place in a specific series. If you read them chronologically you might spot a few Easter Eggs here and there in terms of character cameos, but reading the “wrong” one first shouldn’t affect your enjoyment of any particular book (I will say “The Following Sea” might be good to read before “Chasing Dragons,” even though it’s not part of the Claire Lance series). Will reading in order increase your enjoyment of a story? Sometimes yes, sometimes no, sometimes it all depends on the reader. But if you think it will be a better experience, I’ll do my best to help you get everything lined up. Yesterday was the release of the third Underdogs novel, Dogs of War. One thing I don’t want people to worry about when they start reading is the sense of finality that some of the proceedings have. The war is coming to a head and there’s no turning back or turning down the dial. By the time the book ends, people might be afraid they’re reading the last novel in a series. I wanted to reassure everyone right off the bat that this isn’t the case. It’s not the end of Underdogs as a whole, but it IS the end of the story arc that began in the first novel. One of the things that irks me about on-going series like Dresden Files or The Hollows is that they just keep charging along. Everything builds on what comes before until you reach Book 13, and everything happening is incomprehensible if you’ve missed even one of the preceding stories in the series. I wanted to avoid that pitfall. I didn’t want to string along the hunter/canidae war endlessly until the only way it could be resolved was with an epic novel-long battle that would only be interesting to diehard fans. I wanted Underdogs to be more accessible than that, and even more, I wanted to make sure I didn’t wander too far from the origins: Ari and Dale as private investigators and partners. I didn’t want their story to get too huge too fast. So with this novel, I decided to provide a bit of closure to what I’m calling “The Hunter Arc”. Hunters are definitely still going to be a part of the Underdogs world, but there won’t be a constant looming threat of war with the canidae. Ari and Dale have fought their battle and now it’s time for them to move on. They’re not soldiers. The next novel, Red in Tooth and Claw, will be a standalone story. My plans are for Book 5 to begin a second arc that should cover at least two or three books. That way there will be a lot of places for new readers to jump in without being forced to go all the way back to the beginning. Of course, if you are enjoying the ride from the very beginning, you’ll get full enjoyment of the series’ one true arc: Ari and Dale’s relationship. That is one continuing thread that won’t get reset to zero any time soon.